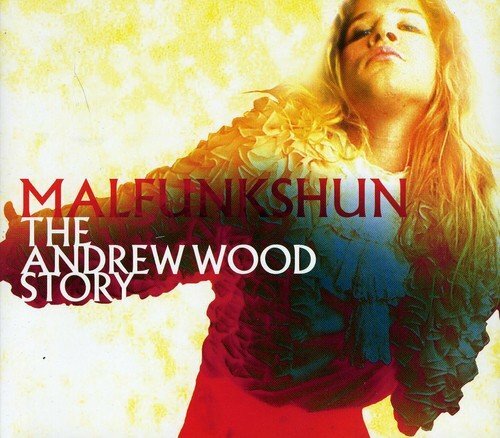 For the first time on DVD, the film Malfunkshun -The Andrew Wood Story is presented for the world to experience the life of the fallen LoveChild, Andrew Wood. Directed by Scot Barbour, he artfully paints the story of Wood's childhood and his relationships, his dreams and his darkness, his passion and his pain with haunting lyrics and intimate conversations with family, friends and never-before-seen interviews with Woods himself. It is a story about how one beautiful yet damaged soul was the inspiration for some of Seattle's greatest musicians. The DVD features over 60 minutes of incredibly rare and unreleased bonus footage. Also included are two bonus CDs, the first being a completely unreleased collection of Andrew Wood solo recordings and interviews from Landrew's Lovenest called Melodies and Dreams. A special bonus track in this rare and intimate collection is an unreleased Chris Cornell recording, "Island Of Summer," that Wood helped Cornell record. The other bonus CD is the out-of-print and only official album Malfunkshun released titled Return To Olympus, featuring 13 original songs plus 2 bonus songs: "With Yo' Heart (Not Yo' Hands)" and "Stars-N-You" from the A&M Records/CZ Records Deep Six compilation. A true collector's item, this DVD plus 2-CD collection features dozens of unreleased photos and liner notes from both the director, Scot Barbour, and David Walker's Williamette Week article about the film. If you have any questions about this product by Hip-O Select, contact us by completing and submitting the form below. If you are looking for a specif part number, please include it with your message.